“I couldn’t believe my eyes,” said Esra Bulbul of the Harvard Center for Astrophysics. 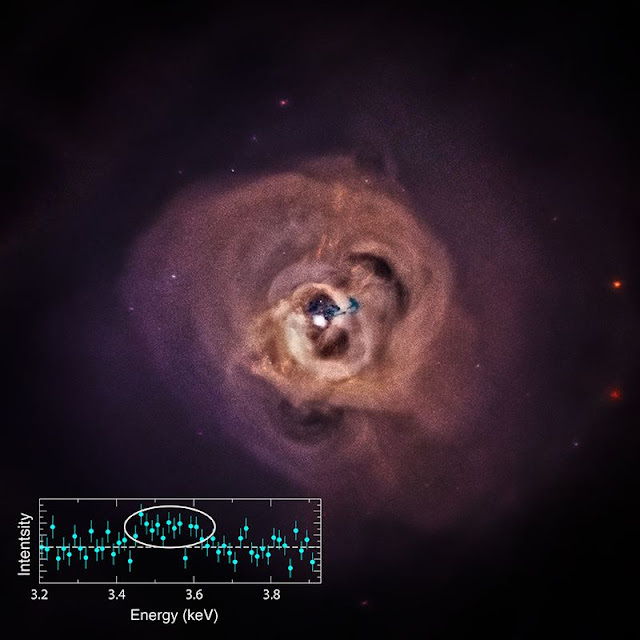 “What we found, at first glance, could not be explained by known physics.” Together with a team of more than a half-dozen colleagues, Bulbul used Chandra to explore the Perseus Cluster, a swarm of galaxies approximately 250 million light years from Earth. 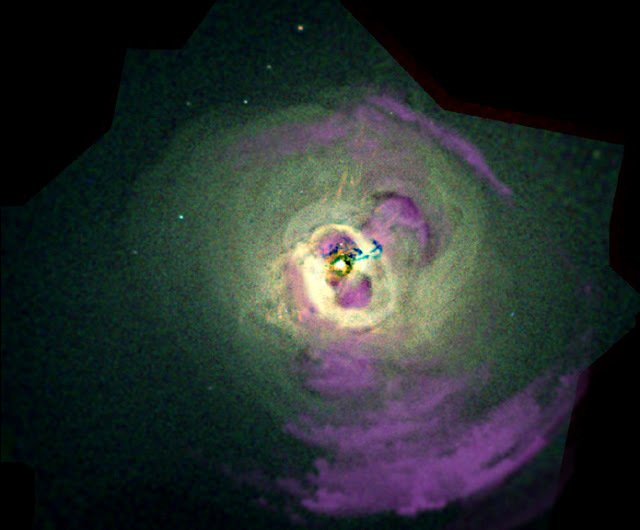 Imagine a cloud of gas in which each atom is a whole galaxy—that’s a bit what the Perseus cluster is like. It is one of the most massive known objects in the Universe. The cluster itself is immersed in an enormous ‘atmosphere’ of superheated plasma—and it is there that the mystery resides. At first, Bulbul herself did not believe it. “It took a long time to convince myself that this line is neither a detector artifact, nor a known atomic line. I have done very careful checks. I have re-analyzed the data; split the data set into different sub groups; and checked the data from four other detectors on board two different observatories. None of these efforts made the line disappear.” Bulbul said. Moreover, about a week after Bulbul team posted their paper online, a different group led by Alexey Boyarsky of Leiden University in the Netherlands reported evidence for the same spectral line in XMM-Newton observations of the Andromeda galaxy. They also confirmed the line in the outskirts of the Perseus cluster. “After we submitted the paper, theoreticians came up with about 60 different dark matter types which could explain this line. Some particle physicists have jokingly called this particle a ‘bulbulon’,” she laughed.